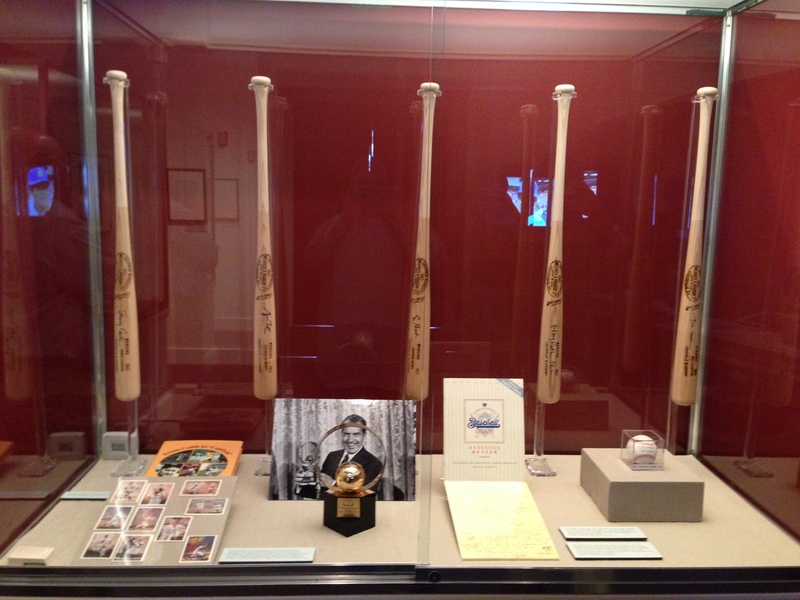 On deck at the Richard Nixon Presidential Library and Museum is a new showcase that displays the colorful history between our Presidents and the game of baseball through rare memorabilia and one-of-a-kind artifacts. Play Ball! 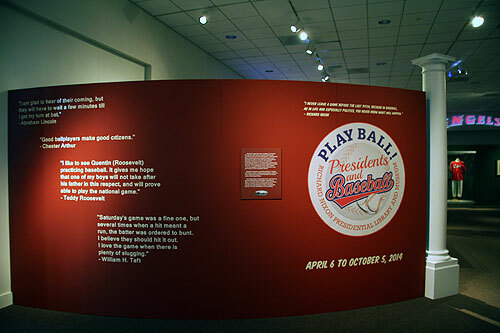 Presidents and Baseball opens Sunday, April 6 at 1PM with ceremonial fanfare. All youth players in uniform and their families will receive free admission to the opening and will be the first to see the new exhibit, to be presented in the Library’s 4,100 sq. foot special exhibit gallery. Former Marine Corps Aide to President Nixon, Colonel Jack Brennan, who attended many baseball games with the President, will speak at the opening ceremony. During Richard Nixon’s post-presidential years he wrote personal letters to some of his favorite players, and several will be on display for the first time. These include notes to Yankees pitcher Dave Righetti on his Fourth of July no-hitter, which the President witnessed in-person, Mets outfielder Darryl Strawberry with words of encouragement on a 1986 hitting slump, and a congratulatory letter to Hall of Famer Nolan Ryan on his Major League-record seventh no-hitter. Also on display is correspondence between Richard Nixon and Jackie Robinson on baseball and civil rights, video of the 37th President giving a New York Mets postgame TV interview, and the President’s 1992 handwritten notes about his most memorable baseball experiences as a fan. For the first time, visitors will have the rare opportunity to see documents from Major League Baseball’s hiring of Richard Nixon to act as arbitrator during a 1985 salary dispute between the league and the umpires over the expansion of the post-season. Featured artifacts from other Presidential Libraries include a Babe Ruth signed ball to Herbert Hoover’s daughter-in-law Margaret Hoover, Harry Truman’s glove and baseball he used to throw out the first pitch at the American League opener in 1955, and a ball signed by Honus Wagner to one of his lifelong fans, Dwight Eisenhower. 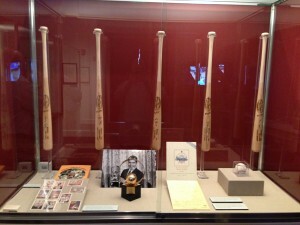 Several treasures will be on display from the personal collection of former Dodgers President Peter O’Malley. These include an engraved watch presented to his father and former Dodgers President Walter O’Malley by Congressman John F. Kennedy in 1952. In July 1950, Dodger President Branch Rickey had offered his shares of stock for sale to Ambassador Joseph Kennedy and he refused the offer to purchase. According to a quote by Walter O’Malley years later, Ambassador Kennedy’s interest was to purchase the Dodgers and have John F. Kennedy be named as president. The exhibition is included with regular admission. It is jointly presented by the Richard Nixon Presidential Library and Museum and the Richard Nixon Foundation. There will be additional baseball programming throughout the spring and summer. Members of the media interested in covering the exhibit, click here to contact the Nixon Foundation.